The show starts off with Momoko highlighting that Buono! 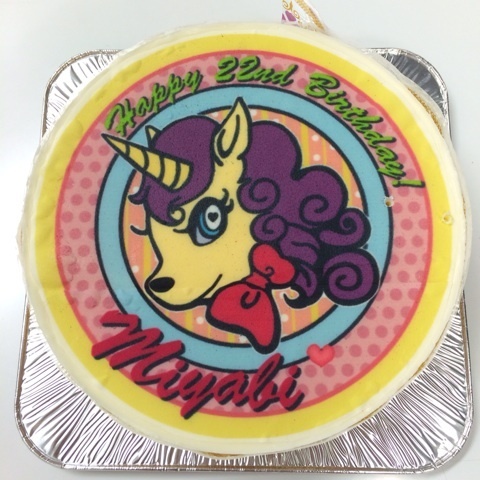 subleader Miyabi would be celebrating her 22nd birthday in two days, or after about 30 hours. Momoko asks Miyabi how she currently feels about turning 22. Miyabi replies that she doesn’t think she’ll change upon turning 22, drawing a gasp from Momoko. Momoko insists that a person can change, even with 30 hours. Miyabi: Well, at any rate, I’ve been forgetting to put on lotion after getting out from the bath. So when I turn 22, I’d like to make sure to apply body lotion. Miyabi: Since as you get older, your wrinkles increase. They continue to talk about the benefits of skincare. Airi cautions that cheap body lotions could ruin the skin. Miyabi sums up by concluding that 22 is a good age. Momoko says that Miyabi can no longer call herself a child, while Airi says that she’s ranked up. Miyabi says that she’d like to improve on her feminine charms. Momoko: So please keep your eyes on the condition of the 22 year old Miya’s skin. Miyabi: Okay, I’ll be careful about acne. Discussion topic: Places that are difficult to go to as a woman, but that you would like to go to someday. Momoko turns the discussion around by starting the discussion with places that are difficult for men to go to. Momoko suggests purikura picture booths as an example, where unaccompanied men are generally not allowed. 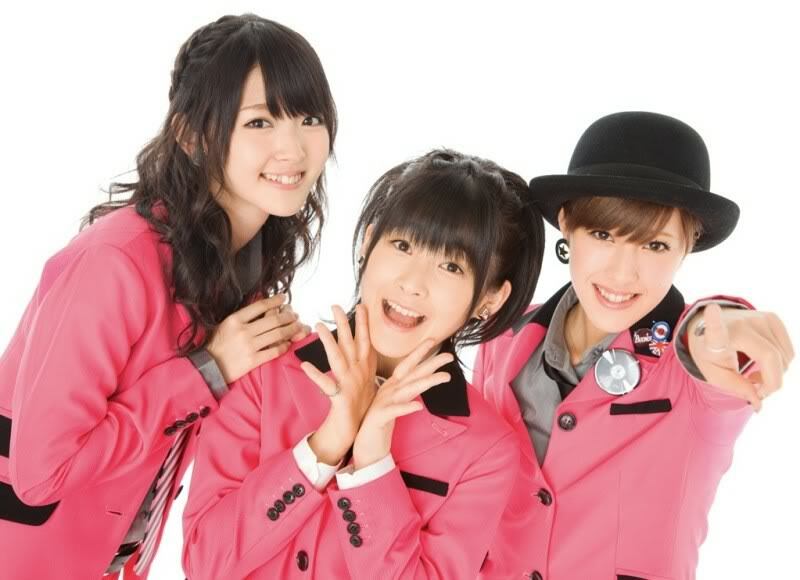 Miyabi mentions that she’s heard that men-only purikura booths have been popping up recently. Momoko: The times are changing. Airi wonders aloud if these men-only purikura booths let you edit the photo by adding effects. In normal purikura booths, girls can make edits to make their eyes appear larger or their skin fairer. Momoko suggests that the men who use the men-only purikura booths might apply edits to appear manlier. The girls came up with what edits they thought guys would do: tanning of the skin, thickening of the eyebrows, or adding muscles. Airi: Girls want their legs to be slimmer, so guys might be wanting a V-shaped torso. The girls return to the topic of places with are hard for women to go to. Airi mentions that girls are generally getting braver. Miyabi notes that girls nowadays do go fishing, baseball watching, or visit batting centres. Miyabi: If we’re limiting the discussion to women, how about places that are difficult to go ALONE? 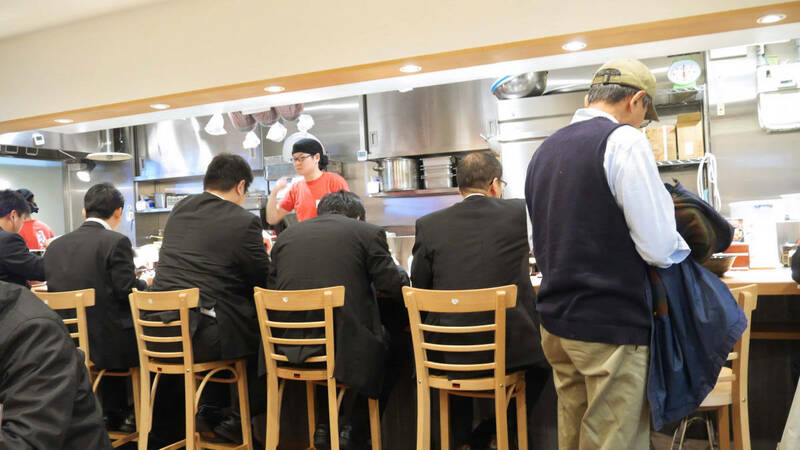 Momoko brings up going for yakiniku alone as an example of a place difficult to go alone. Airi chimes in that she’s done that before, and she was completely fine with it. This revelation amazes Miyabi and Momoko. Momoko confesses that she’s been to karaoke by herself. Airi says that going to a haunted house would be something that she wouldn’t be willing to do alone. Airi adds that she’s even gone to a counter-top gyuudon store by herself. This bowls over the other two, Momoko even clapping and calling Airi ‘sensei‘ in a show of respect. Airi explains the seating arrangement. Miyabi: (laughs) That’s crazy, picturing it. Momoko: That’s great. You get to really interact with them. Airi tells the girls that she enjoyed it, feeling like one of the salarymen. This makes Momoko interested in giving it a try, but Miyabi has misgivings. Miyabi explains that Airi going it alone gave out this cool image (Momoko: Does she? ), whereas she couldn’t imagine Momoko being in that kind of setting. Airi notes that it being a counter-top establishment was a key point in doing it alone. This time around, a 29 year old woman is asking the girls for advice. She has a 2 year old daughter, who’s learning words and starting to talk a little. While happy to see her girl grow, there is one thing that worries her. Her daughter recently started to use the word yada incessantly. Yada is a Japanese expression used to express refusal (NO!) or dislike (Do Not Want). The daughter would even use it at mealtimes and when entering the bath. The mother thinks that it’s something that happens to all children, but feels that her daughter is going overboard in using it. She asks for advice on what she could do. Mother: Will you get in the tub? Mother: Are you refusing to enter the tub? Momoko notes that it just might be the time of life when she just wants to say things. Just like when they can’t stand still, Airi points out. Momoko thinks that it’s fine, and the others agree, as the daughter is still small. Momoko starts talking about how it’s a situation where, after a year, you can point back to that time in her life and laugh about it. She stretches it further by suggesting that they could make a record of the child in her fits of denial, something to enjoy later. Airi: Well, if you make a movie, you can call the kid ‘YadaYadaMan’. Miyabi: Kids would hate being called YadaYadaMan by their mothers for going yadayada, right? Miyani suggests that it might calm the daughter down, and Momoko agrees. Airi starts to recommend this action when she fumbles with her words. Momoko tries to figure out what Airi was trying to say, and Airi sheepishly repeats the word her tongue slipped on. Momoko goes on to suggest that the mother might even go make a costume, when she herself starts to slip on her words. The girls have a quick laugh over it. Airi suggests that the costume be covered in the word yada. The three of them agree on the idea of videoing the daughter. Momoko remarks that they’d come to a solution pretty quickly and begins to sum up, but ends up fumbling her lines. Airi: Today must be the day for chewing on words. Miyabi: It must be that day, it’s very yada. huwaaaaaaaaahhhh! there’s buono too! im so happy! gawd, you’re really gonna cover-up all the radio shows of H!P? so awesome! what would be harder, this or 2ch? 2ch somehow is a brain-drainer with all the filtering of comments there but you’re just gonna pick whatever topic you find amusing; meanwhile you are just gonna listen to radio shows and translate them, but with these amount radioshows and their regularity, would it be hard to keep-up? You might’ve missed it, but half of the shows covered on this site right now are (thankfully) done by people other than me. Trattoria Buono! is covered by Skoban of Ice Cream & My Jiggly. As for 2ch versus this… right now I’d probably say these summaries are more difficult for me. But then again, I was doing WIT for well over a year and I remember that being very difficult to me at first, too. There’s a learning curve. Everything gets easier with time and practice. My appreciation for doing these, Skoban. Oddly enough, I can imagine Airi in a counter-top gyuudon store quite easily. The other too not so much.